An Irish museum has called on the public to exchange their leftover plastic items from the St Patrick’s Day celebrations for free museum tickets to mark World Recycling Day. 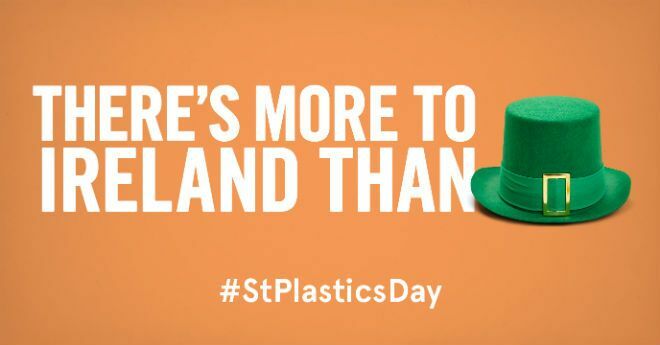 The Epic Irish Emigration Museum in Co Dublin is collecting plastic, green hats, leprechaun beards, tricolour boas and shamrock glasses for reuse. The museum will give any novelty plastic items another life by donating them to Recreate Ireland, a charity committed to making art and educational supplies out of plastic waste for affordable use. The Social Enterprise is also reusing all items left behind from the St Patrick’s Day parade in Fingal. To take advantage of the offer, simply present their St. Patrick’s Day paraphernalia at the museum’s ticket desk for recycling. The offer is valid until tomorrow. The move is part of the museum’s #StPlasticsDay initiative and is set to create an in-depth understating of “the influence the Irish have had on the world” by providing a free tour of Irish emigration history. The museum hopes that the hashtag will spark further discussion about the amount of waste produced during the St Patrick’s Day parade. “We’re inviting people to get a deeper understanding of what it means to be Irish,” Mervyn Greene, Epic Museum’s Managing Director said. Mr Greene said the fact that World Recycling Day occurred just one day after St Patrick’s Day was a great opportunity to try to curtail plastic pollution while promoting Irish culture. “There is a great opportunity for people looking for a deeper understanding of Ireland to go beyond the stereotypes with a visit here,” he said. Ireland’s plastic emergency has reached a new level since China, the world’s largest reusable waste importer, began refusing Western recyclable rubbish. Chinese officials had announced the decision in late 2017, reasoning that they no longer wanted China to be the world’s garbage dump. The new policy went into effect in January 2018, prior to that date the Asian country received a great bulk of Ireland’s plastic waste with an estimated 95 per cent of Irish recyclable rubbish ending up in China in 2016. Last year, The Green Party called on the Government to take “decisive action” for plastic waste management in light of the new Chinese ban. Ireland is the EU’s top plastic producer, generating 61 kilograms of plastic per person, according to the latest EU figures.